Super Typhoon Haiyan, one of the strongest storms ever to make landfall, has brought terrible destruction to the Philippines. Thousands are feared dead. Up to four million children may be affected by the typhoon (called Yolanda locally). These children desperately need shelter, clean water, medicine and nutrition supplies — the same area is already reeling from a 7.2 magnitude earthquake just three weeks ago. 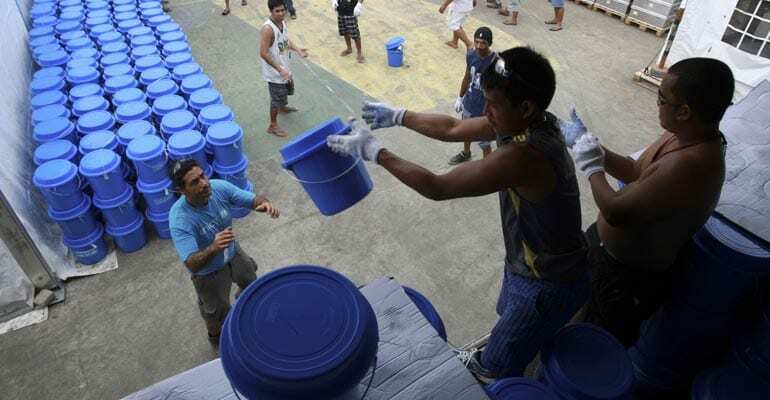 UNICEF staff in the Philippines are rushing into position to deliver aid. More emergency experts are on the way. In Copenhagen, sixty metric tons of emergency supplies — for the health, medical and shelter needs of children — are being readied for an emergency airlift, to arrive within forty-eight hours. This morning, Monday, November 11, 2013, the Teach Them To Fish Foundation made an emergency contribution of $5,000 from our disaster relief fund to the United States Fund for UNICEF in support of UNICEF’s emergency relief efforts. We will immediately begin contacting our friends and supporters to raise additional resources to send to the children. We are encouraging others to help the efforts, too. Information is available here on our web site or directly through UNICEF at www.unicefusa.org/philippines.